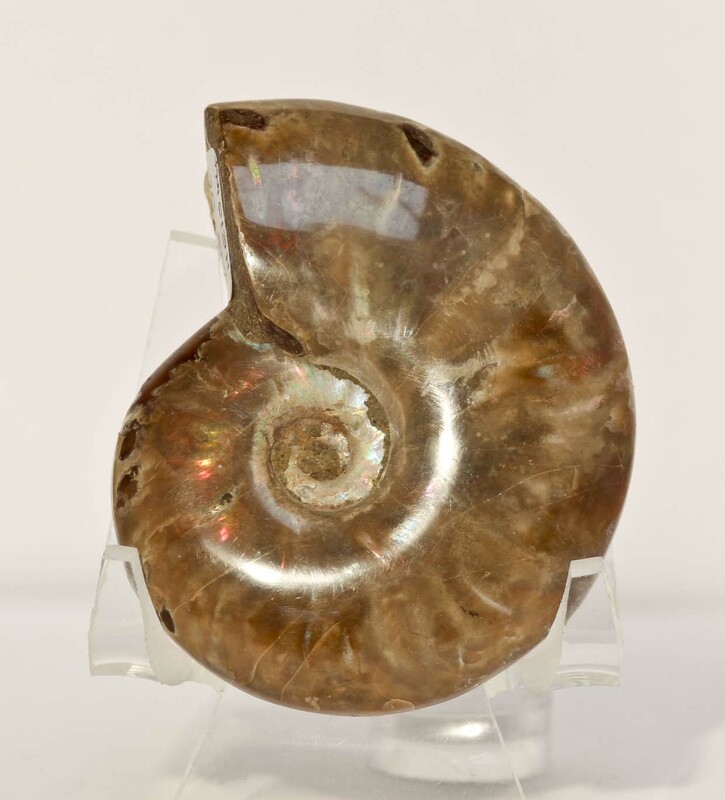 Cretaceous polished irridescent ammonite from Madagascar. 120 million years old. Paler coloured preserved shel with some streaks of red and green and multi colours in the centre whorl.